Cruises from Copenhagen take you on a journey to introduce you to the wonderful world of Northern Europe and the Baltics. If your cruise is the focus of your holiday, it’s highly recommended to have a look at 10 to 14 night cruise itineraries which can take you to the Baltics and Russia or even the UK, Iceland and the North Cape of Norway. If you’re wanting to tack a cruise getaway to your European escape there is a fantastic range of 7 to 9 night cruises from Copenhagen focusing on ports in Germany, Norway and Finland, or to complete a mini-Baltic adventure to Russia and Estonia. If you’re looking for an in depth Northern European exploration check out cruises from Copenhagen of between 15 and 35 nights which could integrate multiple destinations into one fantastic European Immersion or could even have you crossing the Atlantic into the United States. Scroll down for our most popular recommended cruises and to view the full list of cruises from Copenhagen. Only cruises with remaining available cabins are listed. 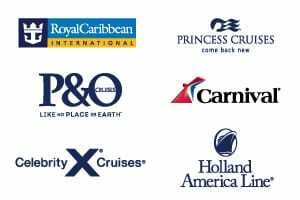 Alternatively you may wish to view cruises from Amsterdam, cruises from Berlin, cruises from Hamburg, cruises from Stockholm, cruises from Paris, cruises from Rotterdam or explore more options for Northern Europe cruises. Our cruise specialists are on hand to help you with all your cruises from Copenhagen enquiries. Contact us or request a call back to chat with one of our friendly consultants. Don’t forget to ask about our fantastic flight and hotel deals to package up your European holiday.